Located in Warrington, this is about 40mins drive from where I live. I decided to pay it a visit as a recce for an upcoming Royal Photographic Society meet next month. I arrived around 10am equipped with basically every lens I had to cover all possibilities open to me. That means the 18-55mm, 70-200 ED f2.8VR and the 105mm macro along with the TC 17E-II teleconverter and of course my trusty Nikon D200 camera. There are bird hides but the literature from the information center states that the rangers feed the birds during the autumn, winter and spring. I was likely too early to see anything at the feeding stations but made a mental note for future visits. There are three well marked walks around the reserve so I chose the longest and set off towards ‘The Tower’. I hadn’t gone far when I came across a small pond on my right, next to the path. 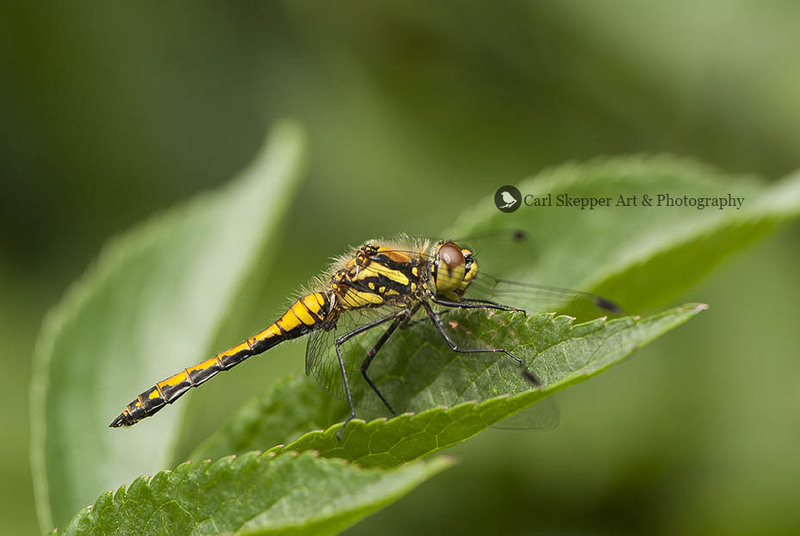 Ideal for damselflies and dragonflies. I quietly and slowly started to make my way around its perimiter, scouring the foliage for signs of life. 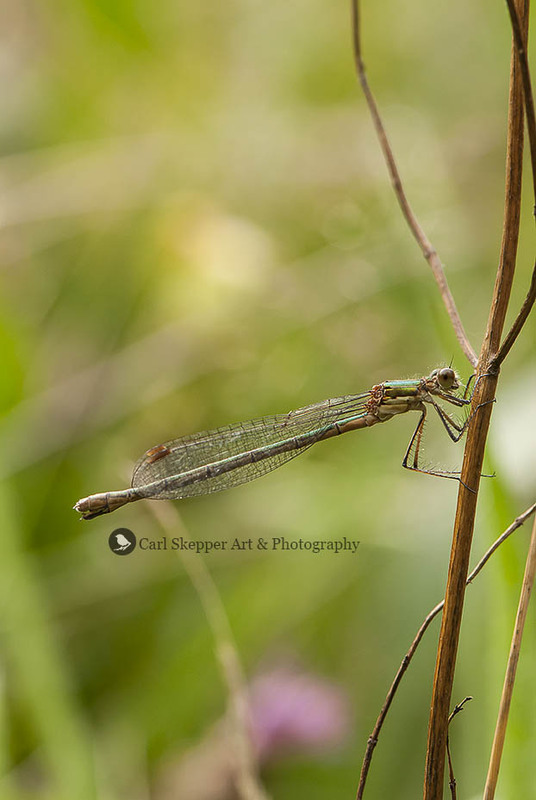 It wasn’t long before I spotted an emerald damselfly clinging onto a leaf. I took my time getting several shots before moving on and checking out the woodland hide. All the feeders were empty and appeared to have been for some time. I hung around for a few minutes and only saw a robin before I decided to move on. The woodland canopy meant the area was quite dark and I felt losing 1.5 stops with a TC would be asking too much to get a decent image anyway. I made my way down to ‘The Tower’ and climbed the steps to a wonderful view across the mossland. I could hear a stonechat in the trees to my right but the foliage was too thick to actually see it. 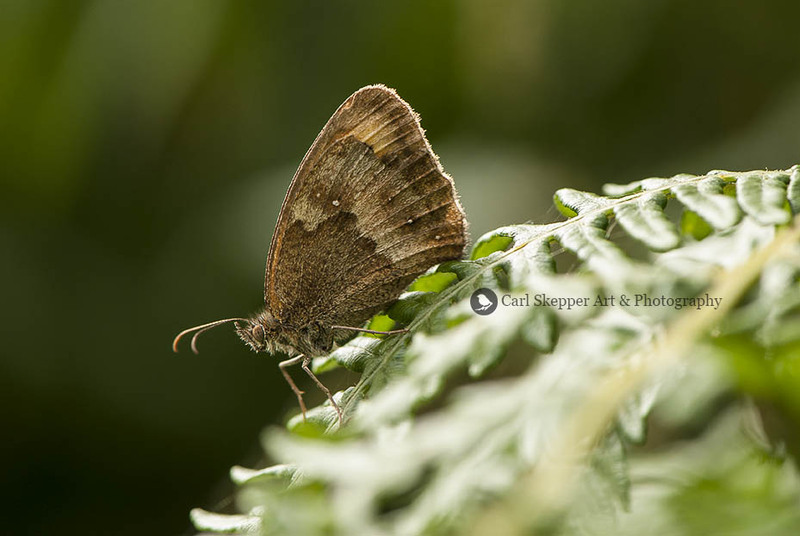 When I made my way back down the steps I checked the border vegetation and found a gatekeeper butterfly happy to oblige for a pic or two before I continued around the path. There are several places where the grass is cut to well back from the path, sort of opening up the area. 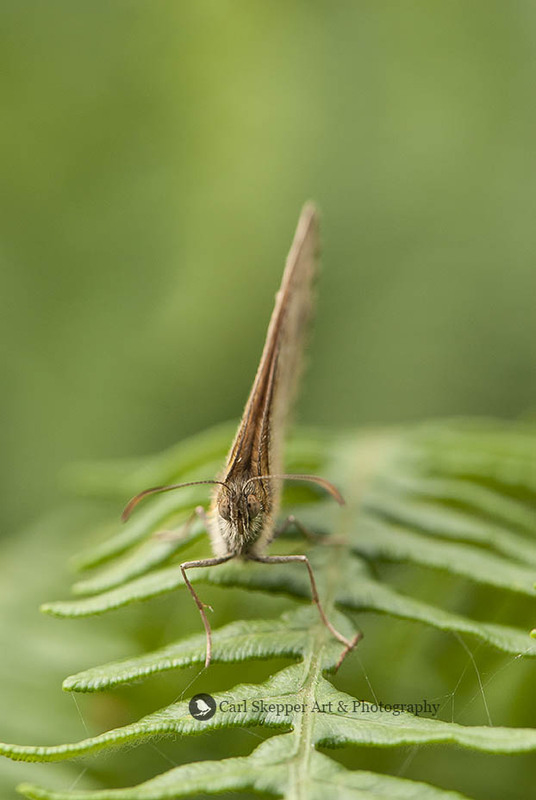 The first one of these I came across I made my way around the edge checking the plants (mostly nettles and bracken) for likely subjects. I had barely gone a few steps when movement caught my eye near my feet. 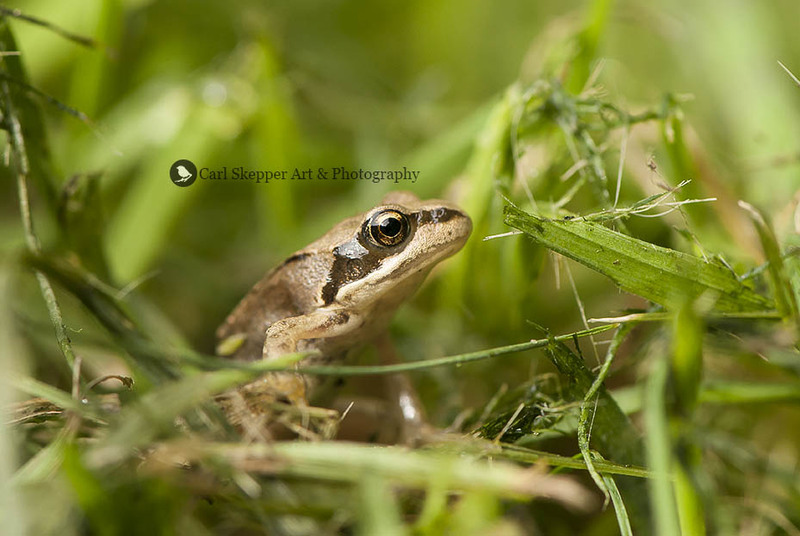 A small common frog did a couple of hops and came to rest in the grass about 4 feet away. Time to get on my belly! Carefully manoeuvering myself so as not to frighten the little amphibian I took several images and I was already starting to feel pleased with myself.. and also somewhat damp as the grass was still wet from the early morning dew. 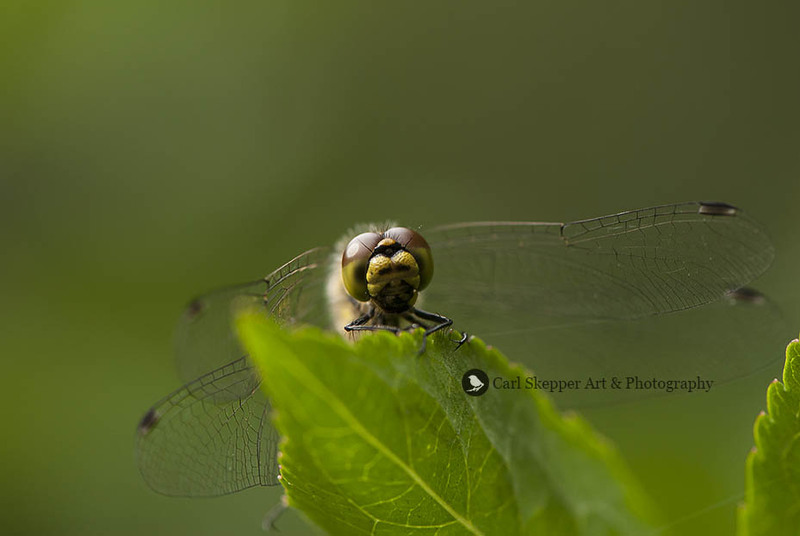 Continuing around the path, checking the trees and bushes I find several dragonflies at rest. 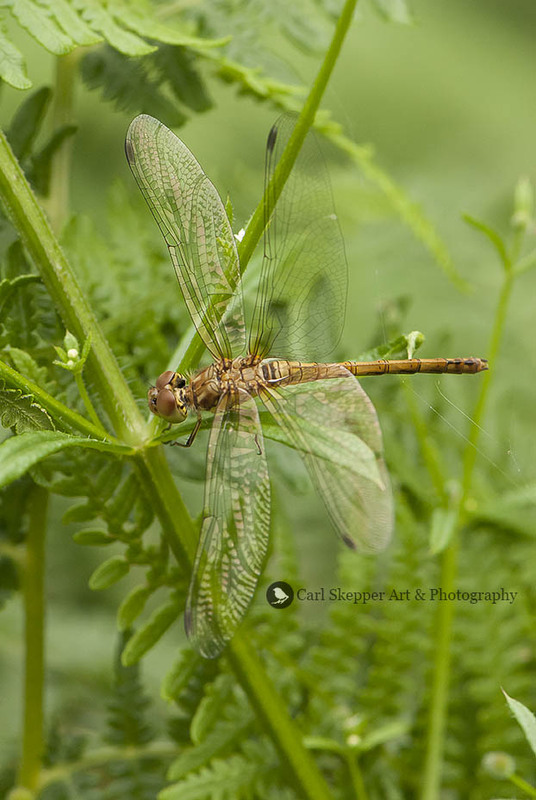 These were both common darter and black darter and I took my time getting the images I wanted. 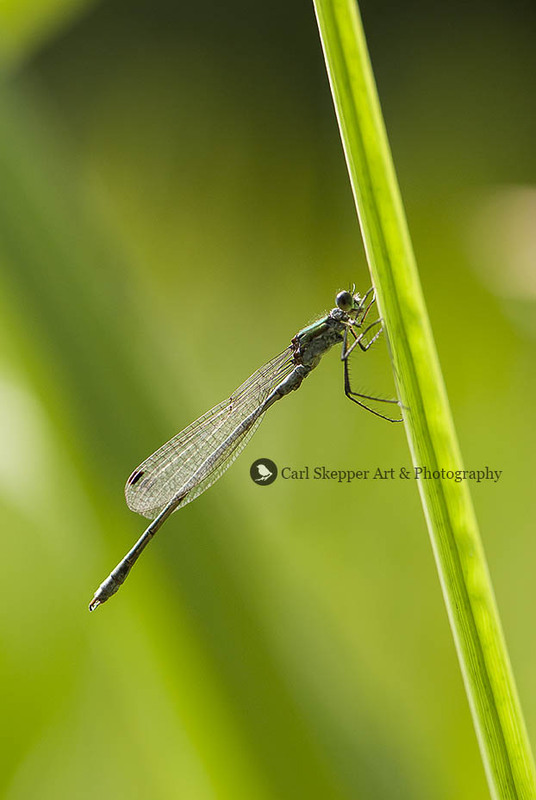 I needn’t have worried as I saw more of the same as I wandered further along the path, along with more emerald damselflies and more small frogs. Unfortunately time had got the better of me and I had to leave. All in all a great place to visit and one I’ll be returning to, several times.